Our roads are now watched over by a bewildering array of different cameras. There are traffic enforcement cameras for monitoring red light infractions, stop signs, HOV lanes, bus lanes, right-on-red violations, and vehicles exceeding speed limits; toll cameras that collect fees for lanes, bridges, and congestion charges; and other cameras that work to monitor license plates, pollution, railway crossings, and more. 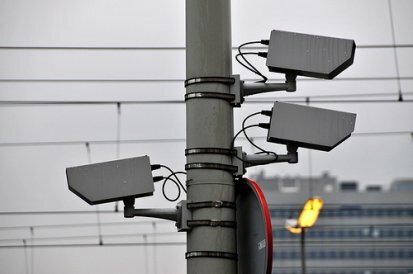 Every week, countless articles and blogs are published questioning the wisdom and motives surrounding many of these cameras, all commonly (and confusingly) referred to as “traffic cameras.” There is one category of “traffic cameras”, however, that everyone can agree benefits both the authorities and the driver, and that is the roadside cameras installed to monitor current road traffic and weather conditions. A bewildering variety of cameras watching our roads, by FaceMePLS on flickr. Used within government traffic control centers and often made available to the public via the web and mobile apps, these traffic cameras can help drivers save time, money, and even their wellbeing. Traffic cameras provide a helpful eye on the road allowing drivers to “know before they go” –and in some cases, while they’re already on the go. Governments around the world spend millions of dollars on implementing and maintaining these traffic cameras because they know that the cameras can help mitigate traffic jams and even save lives. 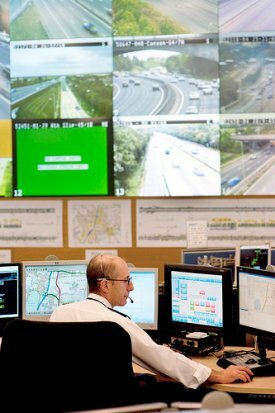 A typical traffic control center, by Highways Agency on flickr. Flow data, already a popular and established service on navigation devices, map widgets, and mobile devices, uses speed data from millions of mobile and road-embedded devices and displays the information as the ubiquitous coloured lines overlaid on road maps. Flow data is invaluable for indicating what is happening –a traffic slowdown, for example— but the addition of traffic cameras can show why. Perhaps there’s a major incident that will keep traffic at a standstill for hours; possibly the road is flooded, icy, or freshly covered in snow; or maybe it’s simply a matter of rush hour volume – traffic cameras can, quite literally, display the whole picture. Flow data from INRIX Traffic for iOS. 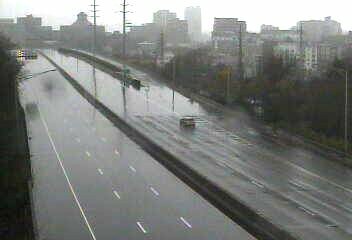 A road with no congestion, but impassable due to flooding during Superstorm Sandy (from NYDOT). Traffic cameras also often update at a faster rate than flow data. While flow data updates are a matter of minutes, traffic camera update frequencies in top North American markets are often 30 seconds or less. Some markets even offer live video streaming or image update frequencies of half a second or less. “Cameras can often give early warning of an incident, or advance notice that an incident has cleared” says Cooper. Authorities and customers alike see the value in traffic cameras. In a recent article from a Canadian newspaper, government forecaster David Jones states that “real-time weather pictures from roadside webcams will save lives,” because, “people can find out if their route is safe” –or if they should wait to travel. Departments of Transportation worldwide continue to rapidly expand their camera networks and the public is noticing them, too – DOT camera websites receive millions of visitors each month, and MapQuest, one of the companies which rely on Vizzion data and services, saw a turnaround in visitor traffic after adding traffic cameras to their maps. Worldwide growth in publically viewable traffic cameras, as tracked by Vizzion. 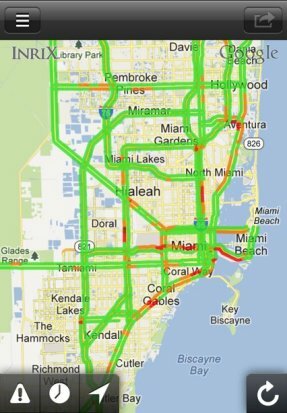 It’s not just regions with severe weather that benefit from traffic cameras; every major metropolis in the world has productivity-killing congestion issues. CBS Moneywatch estimates that traffic jams cost the American city-commuter up to $1,700 and 70 hours per year. Customers demand traffic cameras because they can help simplify the decisions of when and what route to travel. For DOTs, media, automotive companies, fleet-trackers, application developers, and the public, traffic cameras are a smart investment. Vizzion is the leading provider of traffic camera data and services, providing over 60,000 cameras in 37 countries. With authorization from more than 180 different national and regional agencies in North America, South America, Europe, Asia, Australasia, and Africa, Vizzion aggregates cameras from more than 600 markets and regions. Traffic cameras are a proven way for websites and application providers to attract new customers and encourage repeat usage. Contact info@vizzion.com for more information. 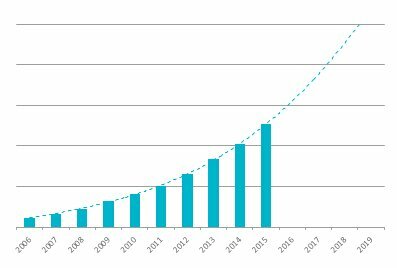 The number of online traffic cameras used to monitor traffic flow on our roads is doubling every two-and-a-half years — a double-edged sword for any product developers looking to give their traffic data or reporting a boost. Mercedes-Benz leads the automotive technology industry with the release of mbrace2, the first product to enter the market with traffic cameras directly integrated by an auto OEM. Microsoft has selected Vizzion for worldwide traffic camera imagery in Windows 10 and Bing Maps. This feature complements existing traffic flow data and incident data, and allows users to vizualize up-to-the-minute road conditions. Vizrt partners with Vizzion to provide access to live traffic camera streams for Viz World, the broadcast industry's standard for the creation of branded maps and geographic animations. Comcast's XFINITY X1 cable platform links incident data to traffic camera imagery, displaying the most up to date traffic conditions to millions of US subscribers. MapQuest receives 40 million monthly unique visitors to its mapping site. Vizzion and INRIX power the "Live Traffic" traffic camera features on the site. INRIX Traffic is a mobile app that helps drivers avoid traffic and get there faster by providing real time alerts, traffic forecasting and incident information. The free iOS and Android app relies on Vizzion to provide traffic cameras across North America. Powered by Vizzion and INRIX, TRACKER Fleet provides fleet managers with the ability to view the UK's traffic conditions at a glance.